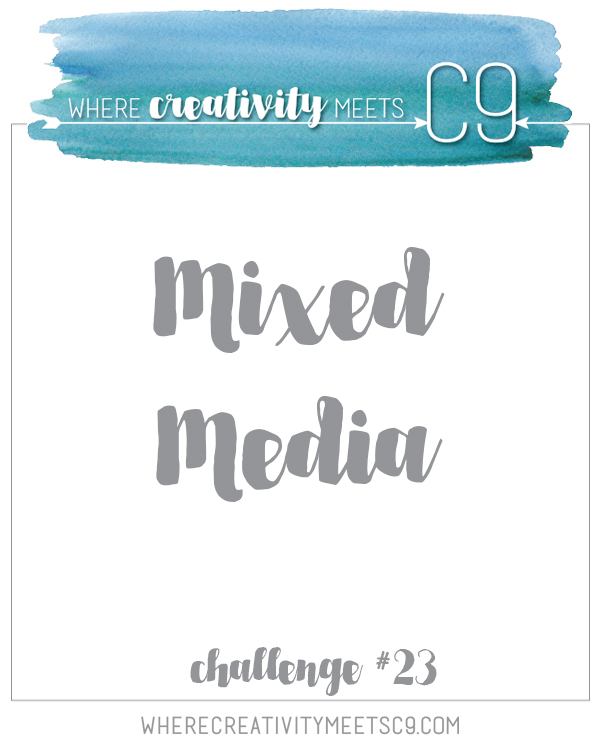 The theme for the current Where Creativity Meets C9 challenge is mixed media. That's not really my strong point, but I gave a it a shot on this card! I started out by stamping images from Concord & 9th's Orange You Sweet set on a white watercolor paper panel in white pigment ink (medium #1). 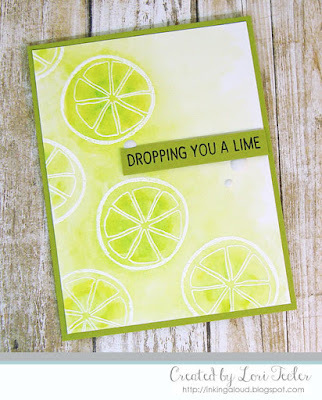 The stamped images were heat embossed so I could watercolor over them (medium #2). I used Clean Color markers to add color to the panel, then spread the color with an aqua brush. My photo doesn't do a great job of doing the soft fade of color that I did to the edge of the paper--it looks much more severe in the photo than it does IRL ... 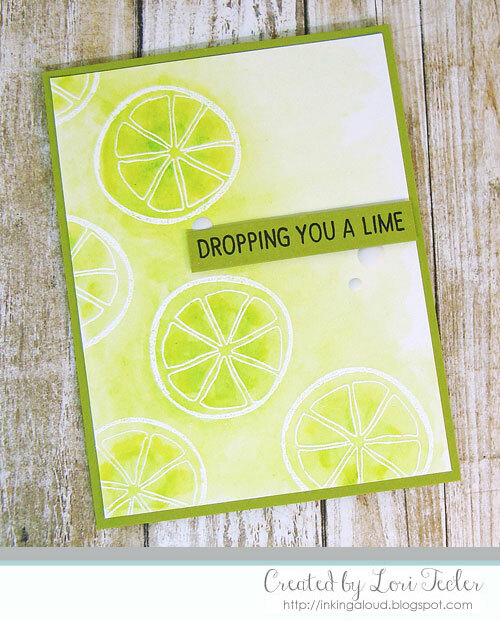 I adhered the panel to a coordinating lime green cardfront, then added the "dropping you a lime" sentiment on top, using foam tape for dimension. The sentiment was accented with a trio of white matte enamel dots. Wow, what a stunning display, love the softness. 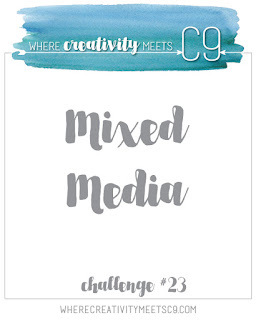 Thanks for playing along at WCM9 Challenge!